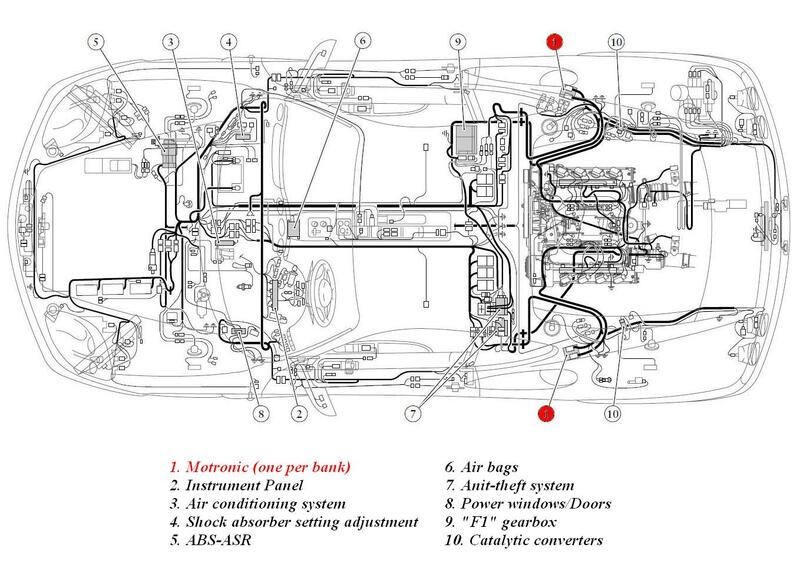 There are two engine control units fitted to the Ferrari 360 – one for each bank of cylinders (locations shown in diagram below). The units are Bosch Motronic 7.3 which are also used in a number of other vehicles. The ECUs are constantly monitoring the engine as the car is driven and make a small adjustment (or trim) to things like fuelling and ignition timing when it is deemed necessary. Take for example the fuelling. The ECU will measure information such as the amount of air flowing into the engine, the temperature (air and coolant) and throttle position. Fuelling maps are hard coded into the ROM – the ECU looks up the appropriate amount of fuel to inject into the engine given the information it is measuring. At the same time the ECU is also monitoring the oxygen content in the exhaust system. If it detects that there is too much oxygen then it will increase the amount of fuel (and vice versa) – this adjustment would be called short term fuel trim (STFT). The ECU also calculates long term fuel trim (LTFT) – this can be thought of as the average of the STFT over a specific length of time. If the ECU has to constantly increase (or decrease) the trim then the LTFT will get larger (or smaller). If the LTFT hits a certain threshold then the “Check Engine” light (CEL) will be displayed (note that the CEL is also displayed for many other reasons). Each time it is displayed an error code will be stored in the RAM. The RAM also stores all the trim information. 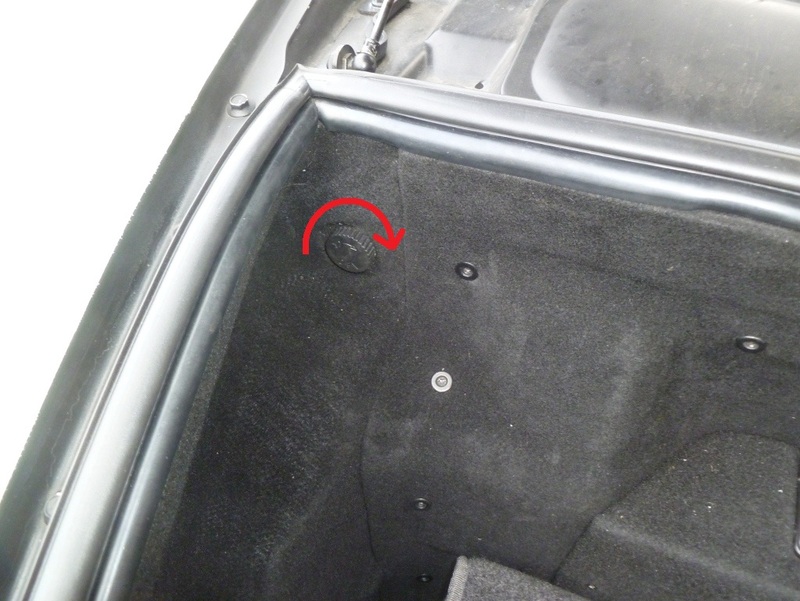 The ECUs can be reset by disconnecting the battery (most easily done by turning the isolator switch off in the front trunk – see picture below). What this does is to remove power from the RAM which clears all the CEL codes as well as the trim information. When a CEL appears on the dash many people opt to cut the power to clear it. Whilst the CEL will disappear it will not resolve the underlying problem. If a CEL is lit then it is always better to read the code that prompted it and try to resolve the issue. Resetting the ECU will, in all likelihood, result in the CEL reappearing. Resetting the ECU can also be done if new parts are fitted such as new sensors, spark plugs, exhaust components, injectors, etc. This is to clear the trim information and to allow the ECU to relearn it’s parameters with the new parts fitted. Once the ECU has been cleared of its information then a specific procedure needs to be performed in order to ensure the ECU, and other systems in the car, are able to operate properly. The most comprehensive reset will occur when the engine is stone cold – I leave the battery disconnected overnight. 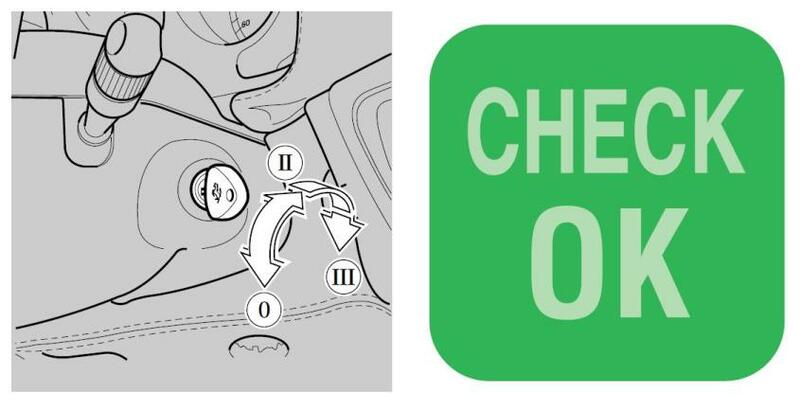 Once power has been restored to the car then turn the key in the ignition to position II and wait for the “Check OK” message to be displayed. Wait for at least a further 10 seconds before starting the engine. This is to allow the fly by wire throttle system to go through a self learning procedure and ensure that the components are synchronised correctly. Next, start the engine and let it idle for at least 5 mins (Ferrari recommend 4 mins, I prefer to let it idle for about 10). To begin with the engine will sound terrible, as if it’s misfiring. This is because all the trim values have been erased from the ECUs. By allowing the engine to idle the ECU can re-learn the correct trim to be applying to the parameters. The engine note will improve quickly. The electric window control units will also need to be reset. Open the drivers window and keep the down button depressed for at least two seconds. Close the window in one motion and keep the up button depressed for another two seconds. Repeat for the other window. Don’t forget that the clock will also need to be reset. Idle for at least 5 mins from cold. As well as re-learning the adaptive parameters, the ECU also checks that the lambda sensor heater elements are working correctly and tests that the purge valves on the Fuel Vapour Emission Control System (aka EVAP) are operating properly. Drive the car in 3rd or 4th gear with an engine speed of between 2,000 and 2,500 rpm for 3 1/2 miles (no hard accelerating or erratic shifting). The ECU checks ignition, fuel trim, cat efficiency, lambda sensors, PCV valve operation and EVAP purges. Shift to 4th gear and increase engine speed to 4,500 rpm and hold for 30 seconds. This ensure the engine is operating in a steady state. Decrease engine speed to 2,000 rpm without changing gear or braking. ECU checks PCV valve operation and EVAP purges. Gently stop the car without changing gear, shifting into neutral when required. Let the engine idle for 5 minutes without touching the throttle or changing the engine load (for example by turning on/off any electrical equipment or air conditioning). This allows the ECU to learn the engine idle control properly. Switch the engine off and remove the key. Keep the engine off for at least 30 seconds. Restart the engine and drive the car normally for 10 minutes (no hard accelerating or erratic shifting). The ECU re-checks ignition, fuel trim, cat efficiency, lambda sensors, PCV valve operation and EVAP purges. Gently stop the car without changing gear, shifting into neutral when required. This allows the ECU to make a final check of PCV valve operation and EVAP purges. Once all of the above has been performed the ECU error codes should be re-checked. However, if the CEL appeared due to long term trim values passing their threshold then it may take even more driving before the CEL shows its face again. The ECUs were supplied for Federal spec cars in order for them to meet emissions regulations. If you are in the US and have trouble passing your smog tests then you may have to get them flashed with the correct maps and fitted. Otherwise, there’s no need. Although you may wish to find someone to flash the Challenge Stradale maps onto them to get a little more BHP. Thank you for your swift response, Aldous. Hi, I was advised to switch the ECU off by my dealer overnight for a sensor problem. I need to switch it back on today but can’t open the boot to get to the switch! Does anyone know how to open the boot manually? There’s a pull cable under the glove box (RHD).